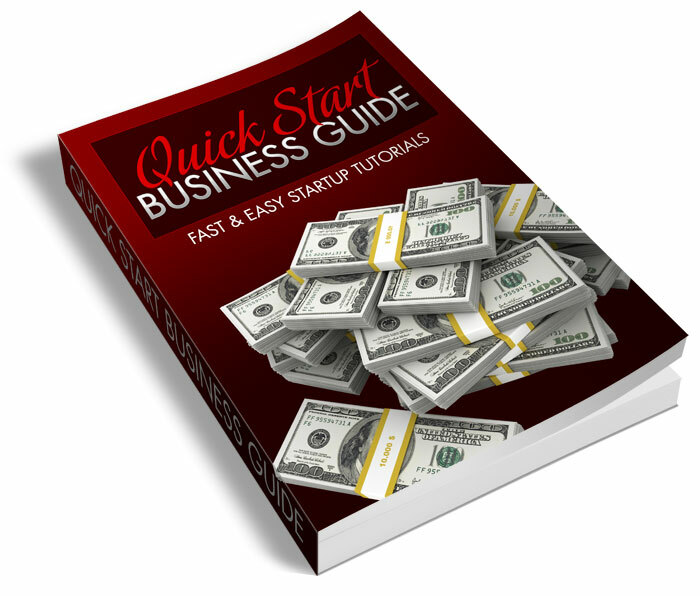 I created Quick Start Business Lessons to save you time, money and frustration. It's an all inclusive lesson plan that outlines the most important elements involved in building an online business. I cut through the nonsense to deliver only the most important lessons that you need to know, so that you are never bogged down with information overload, nor will you ever waste time struggling to learn something that you really don't need. With this comprehensive guide, I'll take you step by step through the entire process from implement payment processing to building a polished website quickly and easily! How To Maximize Your Online Income! - This lesson is one of the most important ones because it will help you instantly increase sales with powerful copy! How To Build A Fully Optimized Website In Under 4 Hours! - This lesson will save you WEEKS of time because I'm going to show you exactly how to create a market-ready website using the power of FREE tools and resources! How To Manage Your Website Easily! - In order to be successful, you need to know exactly how to manage and maintain your website and I'll show you how to get the job done easily, using just ONE free tool! How To Find The Best Domain For Your Business! - Your domain is a critical component when building a brand-powered business, and I'll show you how to secure the best possible domains for your business for less than $10! How To Create A Market-Ready Business! - Find out all you need to know about payment processors and set your business up for long-term success! How To Maximize Your Outreach! - Discover the #1 strategy for maximizing your business exposure and skyrocket your income, instantly!